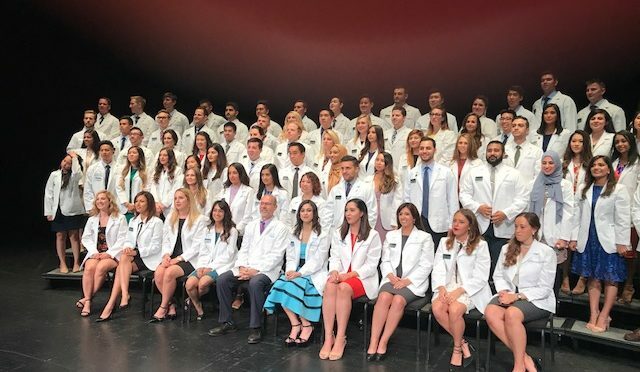 ASDOH’s class of 2022 begin their dental school journey with the traditional White Coat ceremony. Dr. Jack Dillenberg welcomed them on behalf of the American College of Dentists. ATSU President Craig Phelps took this opportunity to honor long-time ASDOH supporter Dr. Irv Silverstein with the inaugural Presidential Medallion. During the week Dr. Jack Dillenberg participated in meetings to discuss and plan an innovative research project on value-based payments at the new Dillenberg Center for Health Innovation and Technology at ASDOH. 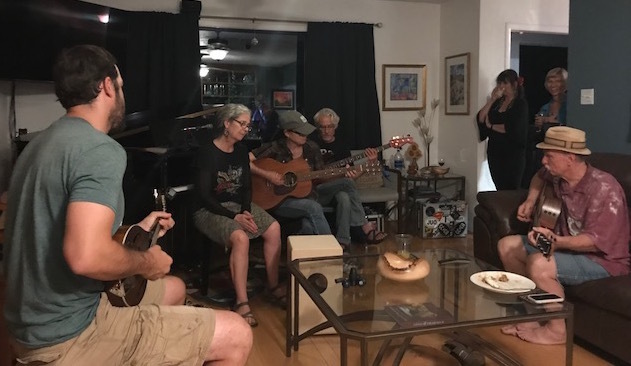 Dr. Jack Dillenberg returned to Jerome to celebrate with neighbors and friends at the summer Thanksgiving celebration. Dr. Jack speaking at the League of Women Voter Candidates Forum in Jerome. He is a candidate for Town Council. The next day he participated as a candidate for Town Council in the League of Women Voters candidate forum. 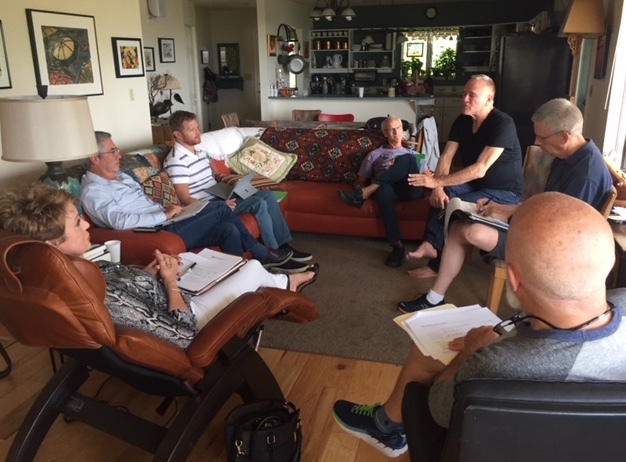 He ended the week by hosting the Brighterway Institute Board summer meeting at his home in Jerome. The Brighterway Institute Board holds it Summer meeting at Jack and Jamie’s home. Drs. 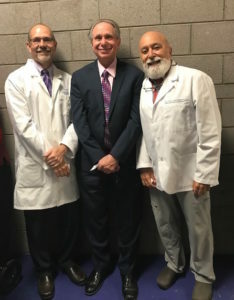 Trombly, Gevitz and Dillenberg prepare for the White Coat Ceremony. Less than one month after Dr. Dillenberg’s retirement, he had the honor of speaking to the incoming ASDOH class of 2020 at their White Coat Ceremony. He joined ASDOH’s new Dean, Dr. Bob Trombly, in welcoming the new students. As Dean Emeritus, Dr. Jack continues to work with Dr. Norman Gevitz to establish the ATSU Center for the Future of Health Professions. Additionally, he is working with other health organizations to improve access to oral health care while promoting the integration of oral health into primary care. It's All About the Spit! A New Year with Exciting Opportunities Emerges for Dr. Jack.